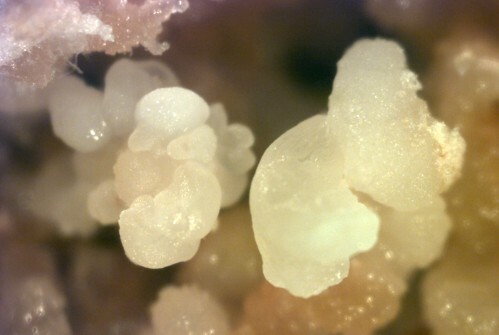 The availability of a mutant line in which a single gene has been disrupted gives biologists a powerful tool in understanding the function of that gene. Thus, sequence-indexed collections of single insertions are critical resources for elucidating gene function in organisms with sequenced genomes. 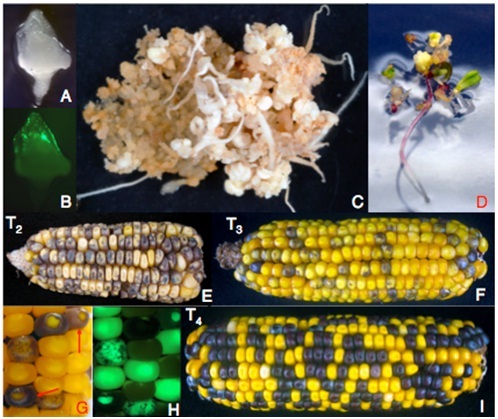 Our approach to creating such a resource in maize entails generating, sequencing, and indexing new insertions of the transposons Ds and Ac, which tend to transpose to nearby sites. 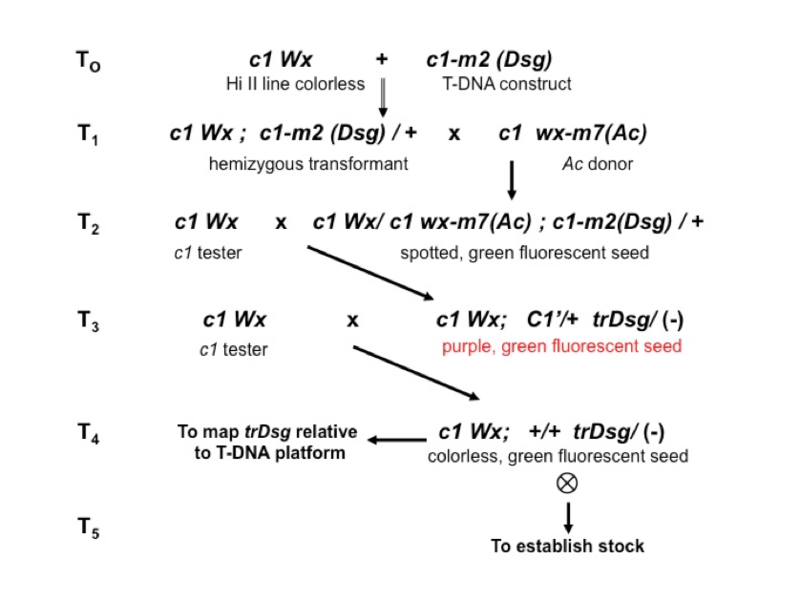 Under funding from the NSF Plant Genome Program, we have produced a set of around 100 T-DNA launching platforms carrying Ds* elements marked with GFP. Our system allows simple visual selection of element transposition from many different regions of the genome and, thus, enables researchers to generate regional gene knock-out collections. We have recently published a detailed step-by-step protocol for generating such a collection from any one of our Ds* launching platforms (Li et al. 2013). In addition, using a combination of next-generation sequencing technology, 3-dimensional pooling, and a software package specifically developed for this project (Xiong et al., 2013), we are generating a sequence-indexed collection of 14,000 Ds* insertions scattered around the genome. All insertion site sequences become searchable in our regularly updated database and in maize GDB, where they are cross-referenced to stocks available from the Maize Genetics Stock Center. Lines not presently available from the Maize Stock Center because of limited seed supply can be temporarily obtained directly from Hugo Dooner's lab. Our T-DNA platforms carry the c1-m(Dsg) engineered reporter allele (T0) and produce a green fluorescent, Ac-dependent spotted phenotype (T2). In our system, Ac activity is provided by the native wx-m7(Ac) allele on chromosome 9 (T1). 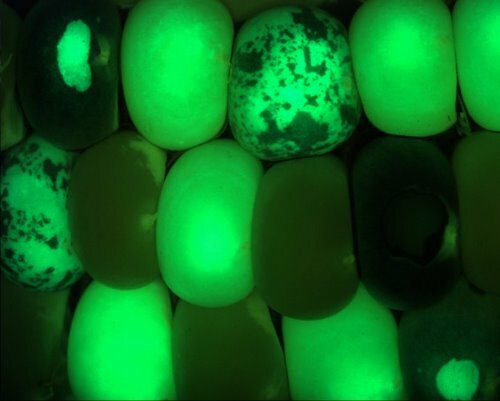 From any given platform, we select transpostions of Dsg (T3) as exceptional purple revertants that retain green fluorescence (C’+Dsg), so the spotted phenotype is lost at the outset. We cross those selections to a c1 tester to confirm the concordancy of revertants (i.e., that the selection is heritable) and to determine the linkage between the transposed Dsg (trDsg) and the corresponding T-DNA platforms (T3). 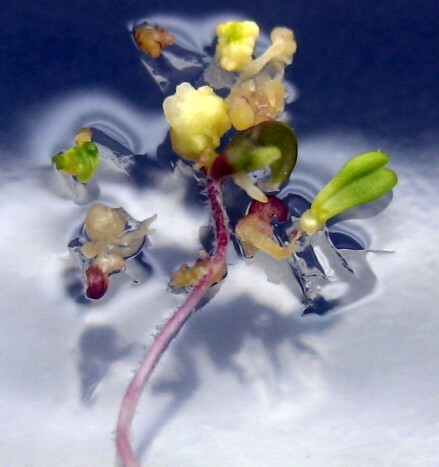 In the case of unlinked or loosely linked transpositions, we select from the testcross progeny colorless (c), green fluorescent (Dsg) kernels (T4) for sequence-indexing and for seed propagation. 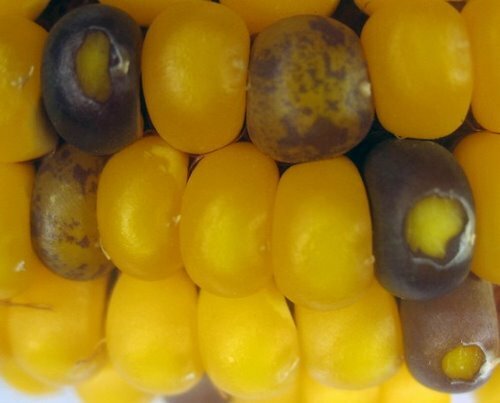 If the trDsg is so closely linked that it produces no or very few colorless, green fluorescent seed in the testcross progeny, we select purple (C’) green fluorescent (Dsg) kernels for sequence-indexing and for seed propagation, but these are rare among materials sent to the Co-op. We deposit all sequence-indexed selfed progenies (T5) in the Co-op.